Discussion in 'Vegas Trip Reports' started by AlnessW, Apr 11, 2016. Hope you enjoy it! At the very end I will list some pros and cons as well, plus other info. Any feedback (good or bad) is always welcome. This trip was in celebration of my (much-anticipated) 21st birthday. Really, the credit for this whole idea goes to my younger sister who wanted to ensure the occasion was celebrated properly. I was ecstatic! 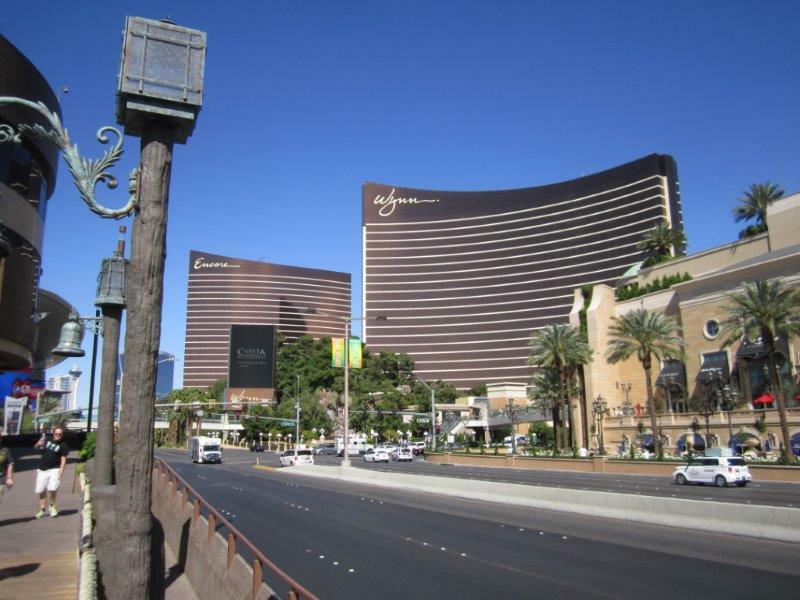 Visiting Las Vegas has been on my bucket list since I was a kid - the whole mantra of that city has always excited me and I love all the various movies that take place there. (The Hangover, Ocean's 11, and so on.) We shared a few costs, and got some assistance from our family as a joint gift to the both of us (her birthday is a few weeks before mine). 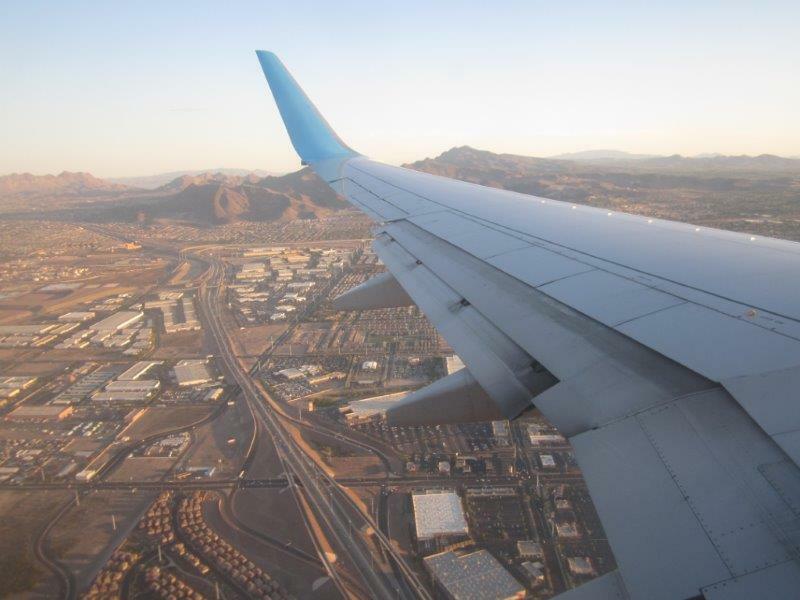 On February 15, 2016, we were booked and ready to travel! 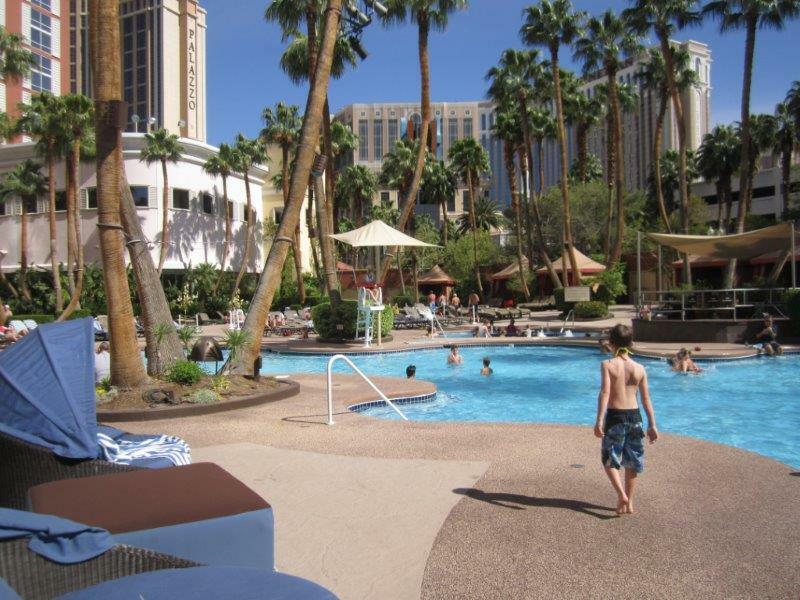 We booked through Vegas.com and got several good deals on hotel + airfare. First, midweek prices and availability were MUCH better than a weekend, at least the dates we were available. School can wait. 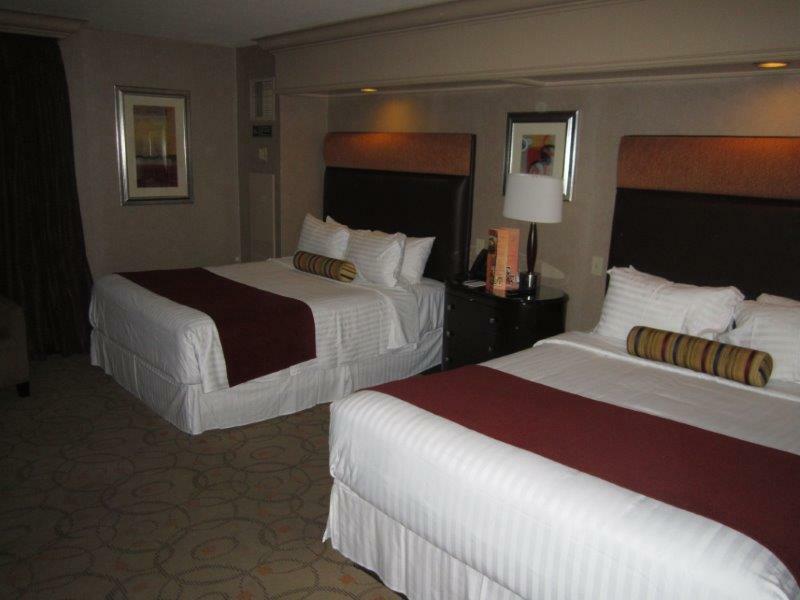 In addition, we got a buy-1-get-1 deal on a Standard Strip View Deluxe room, a promotion the hotel was simply offering at the time. 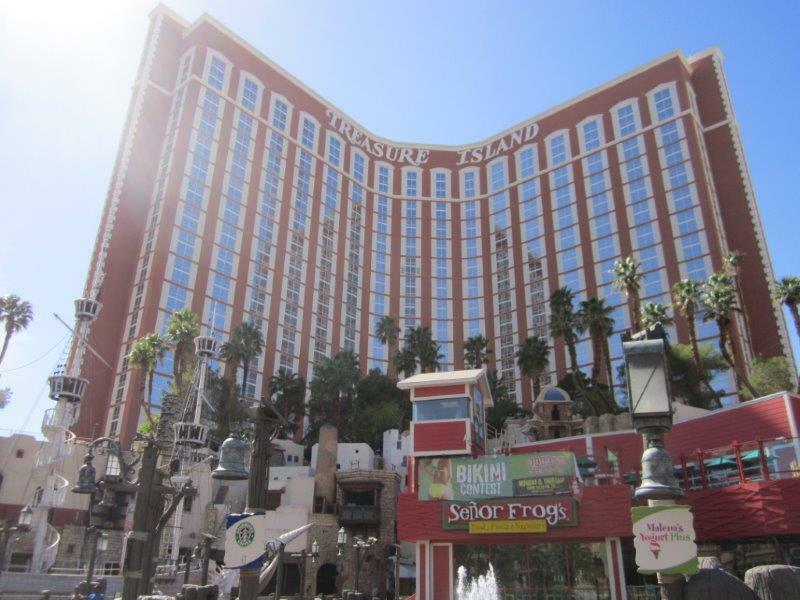 We were staying at Treasure Island! 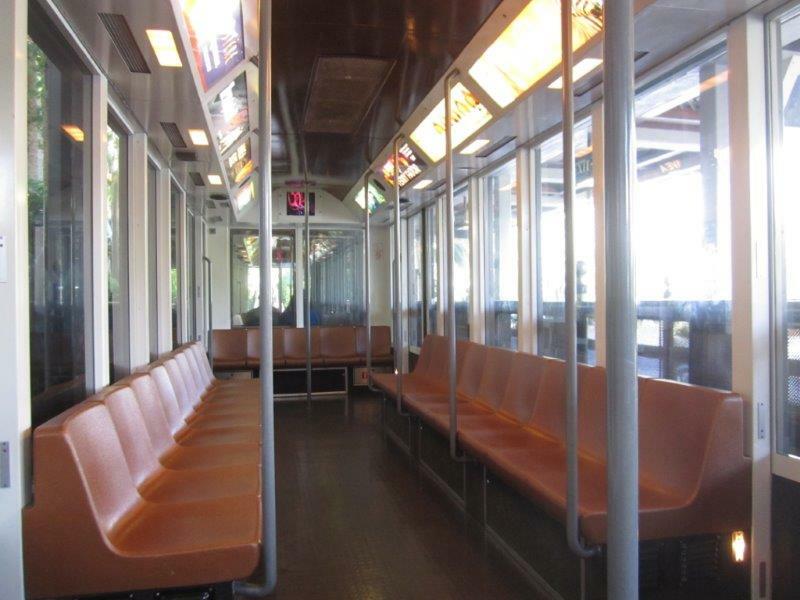 We had planned on taking the TriMet light rail MAX Red Line up the the airport, but my dad was kind enough to offer us both a ride. We met him at the loading area of my condo complex at 2:15 PM, loaded up, and headed for Portland International Airport. Arriving around 2:45 PM, I checked in a kiosk in the Alaska Airlines lobby (my sister had previously checked in on her cell phone - not my style hence the kiosk) and we head for South Security, A-B-C gates. 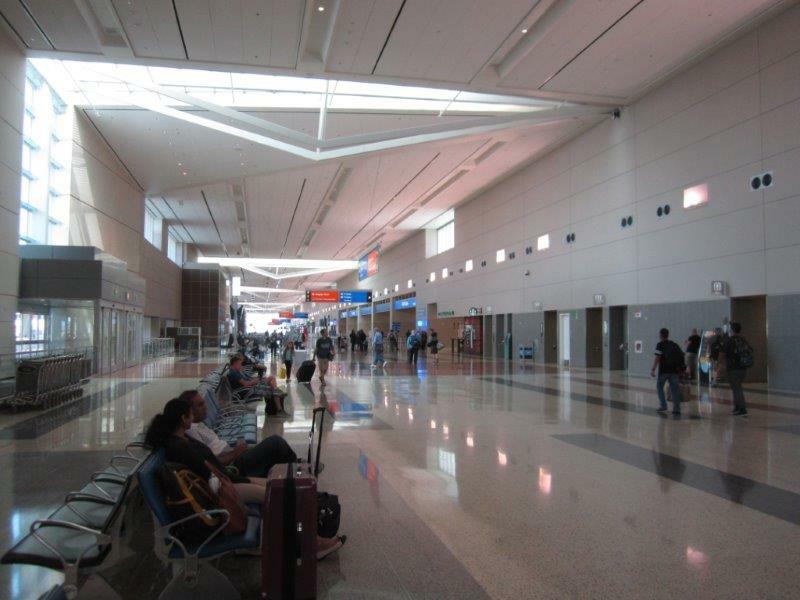 We were cleared through with no trouble at all and headed for our gate, with boarding in about 40 minutes. 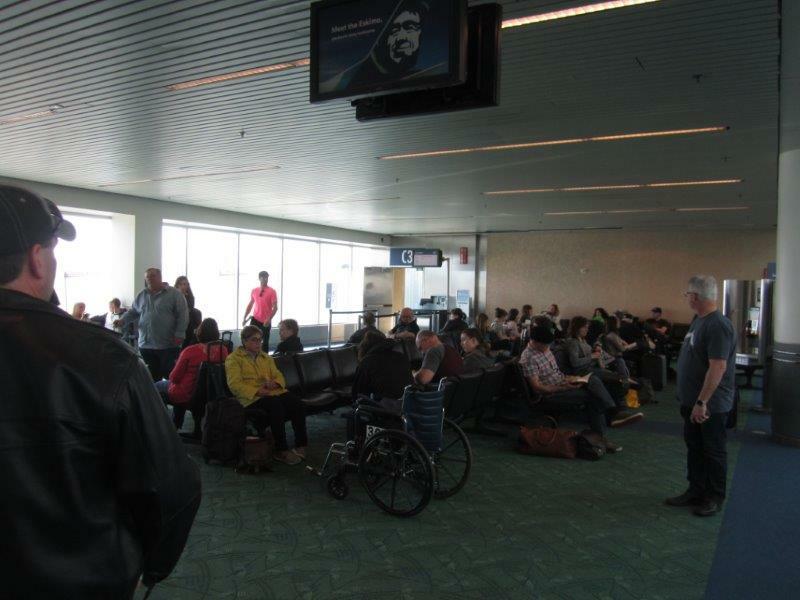 Alaska Airlines check-in lobby at PDX. 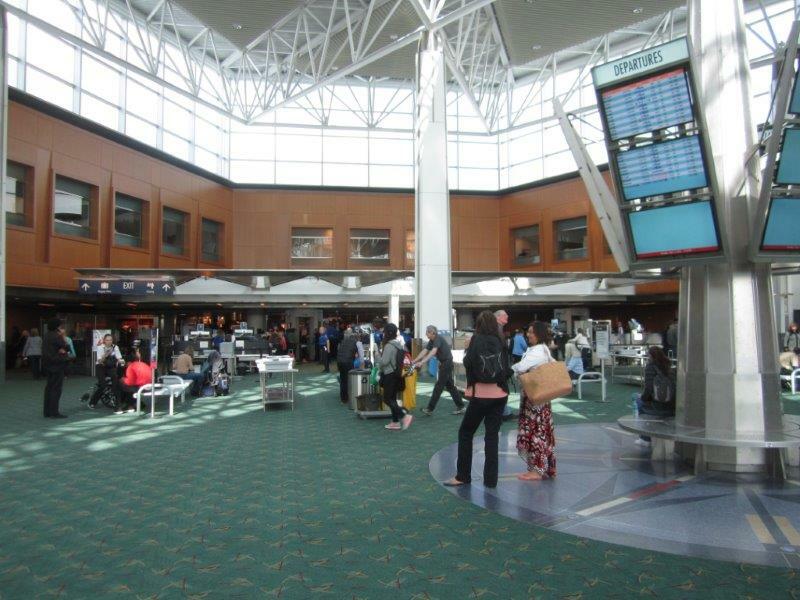 Post-security area and south lobby, PDX. 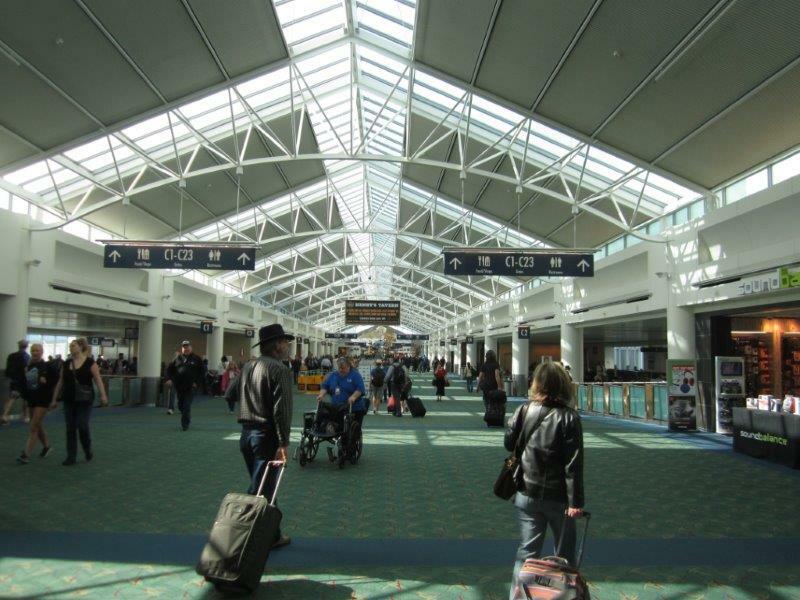 Down concourse C at PDX. Alaska 737-900 arrives from LAX. Now our aircraft! Pushback at 4:43 PM, wheels-up at 4:52. 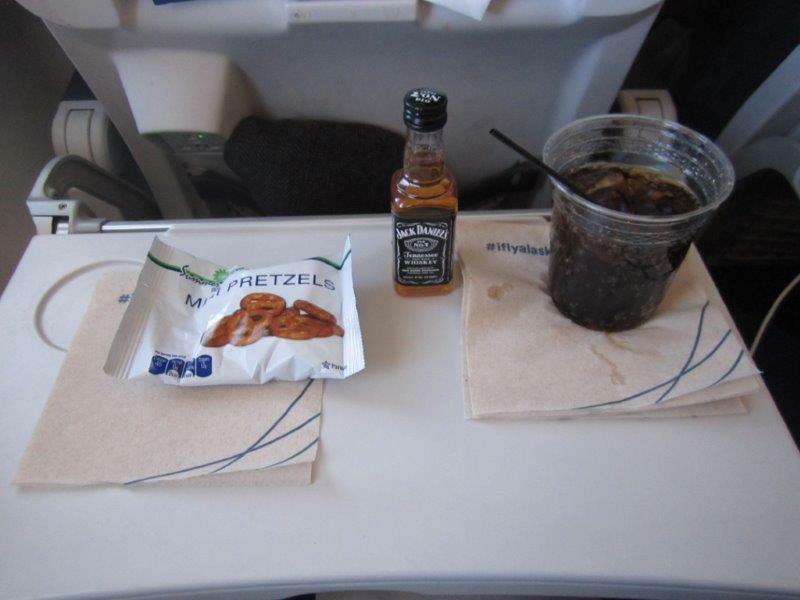 The flight was a piece of cake, and I enjoyed a Jack & Diet Coke during the cabin service. 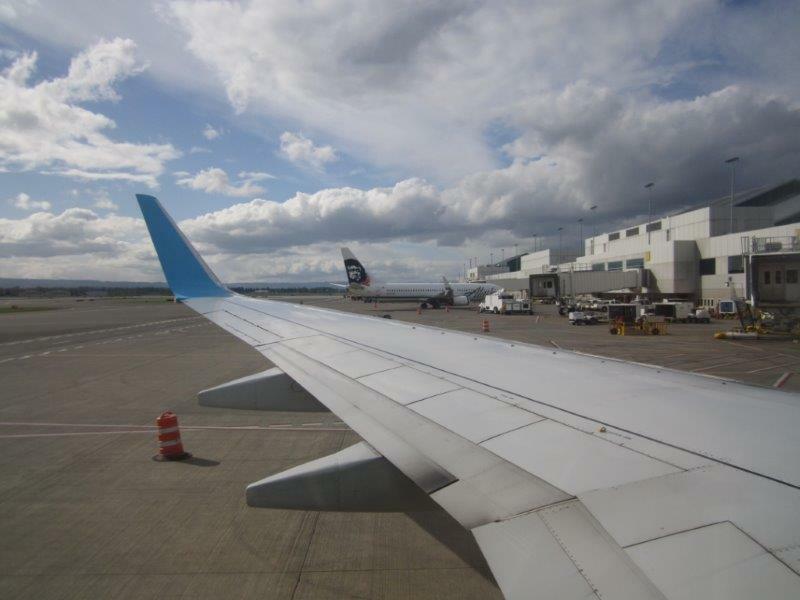 This was one of Alaska's nice newly-remodeled 737s with new seats, power outlets, USB plugs, etc. I sat in 22A. 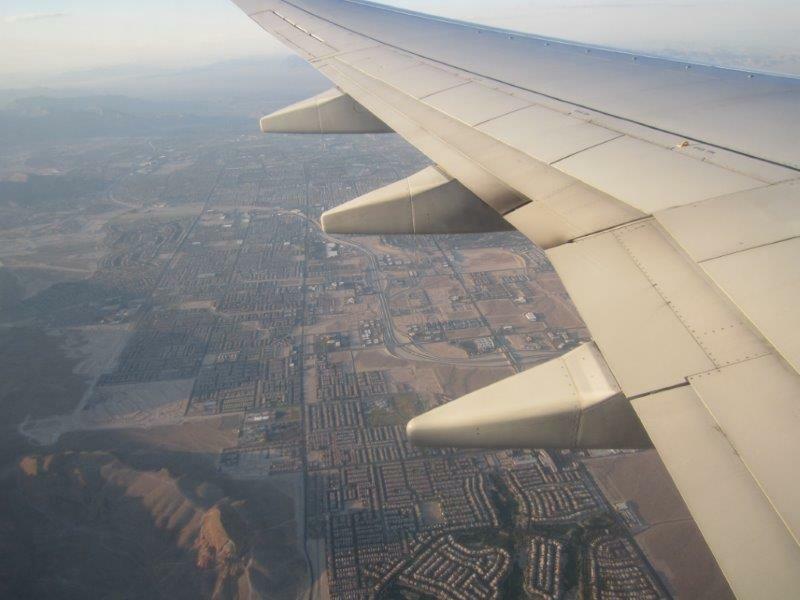 The approach into McCarran was super cool, with good views of the Strip as the sun began to set. Needless to say, I was excited! 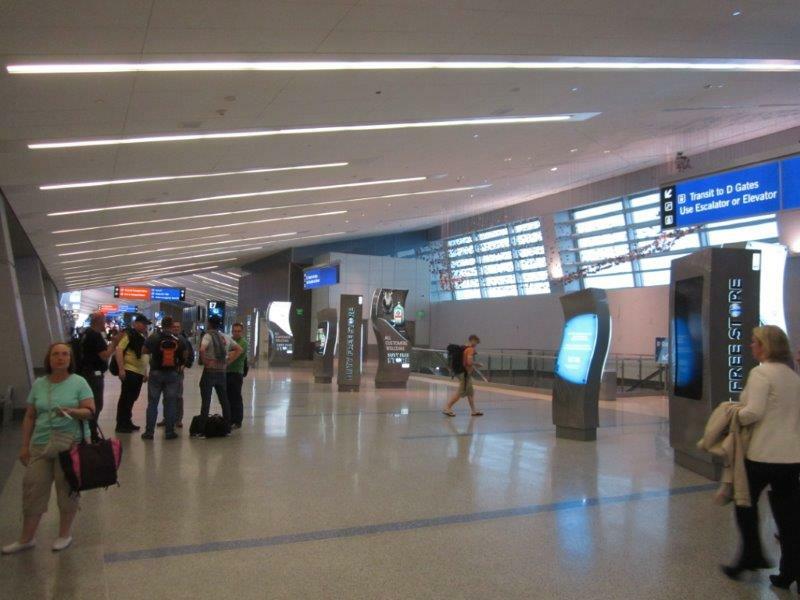 We land at 6:35 PM and taxi for a few minutes to gate E14 in the new Terminal 3, getting us there at 6:42 PM. Boarded and looking out the window from gate C3. 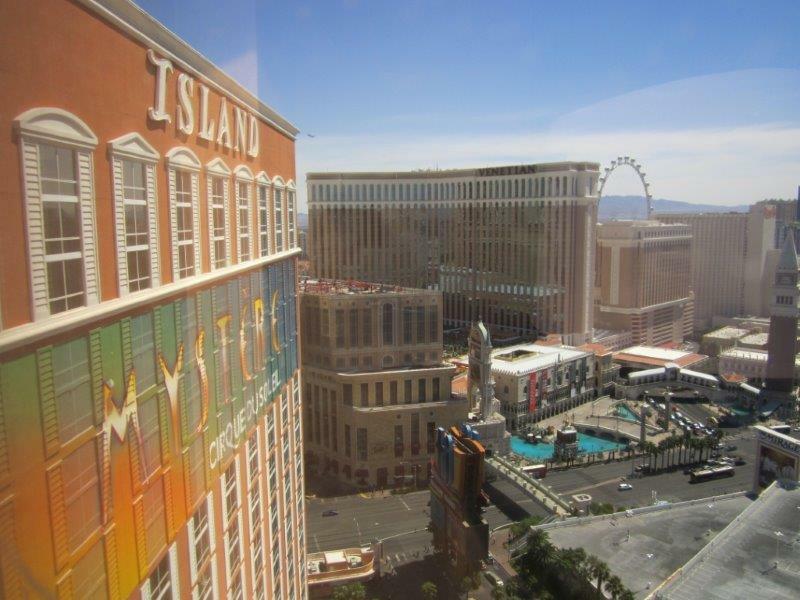 If you look closely, you can see the Strip (and TI!) in the distance - pretty cool vantage point. 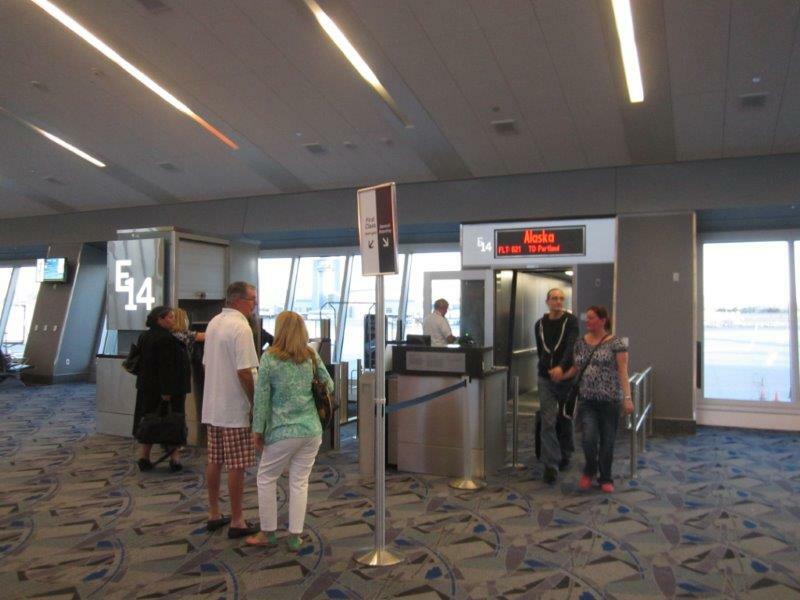 Safe arrival at gate E14. 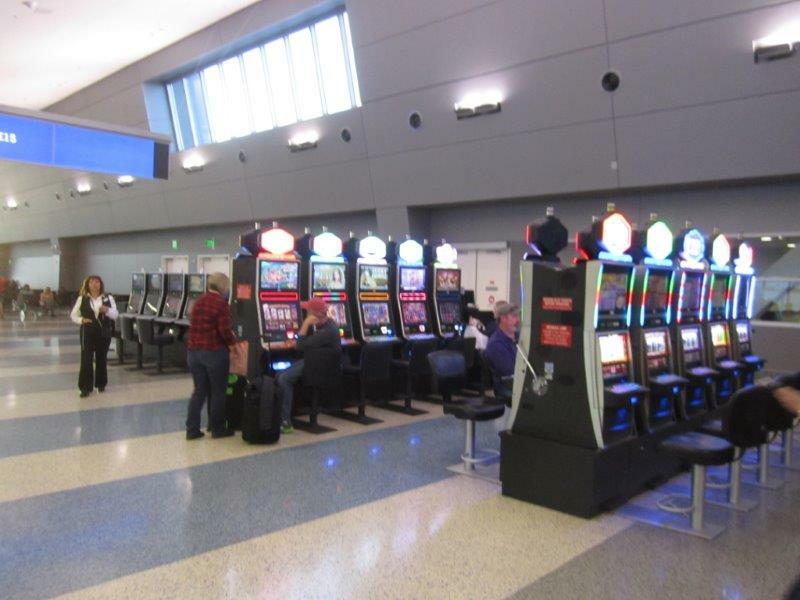 Upon deplaning, we were greeted by a bank of slot machines (obviously) and headed for arrivals/baggage claim. 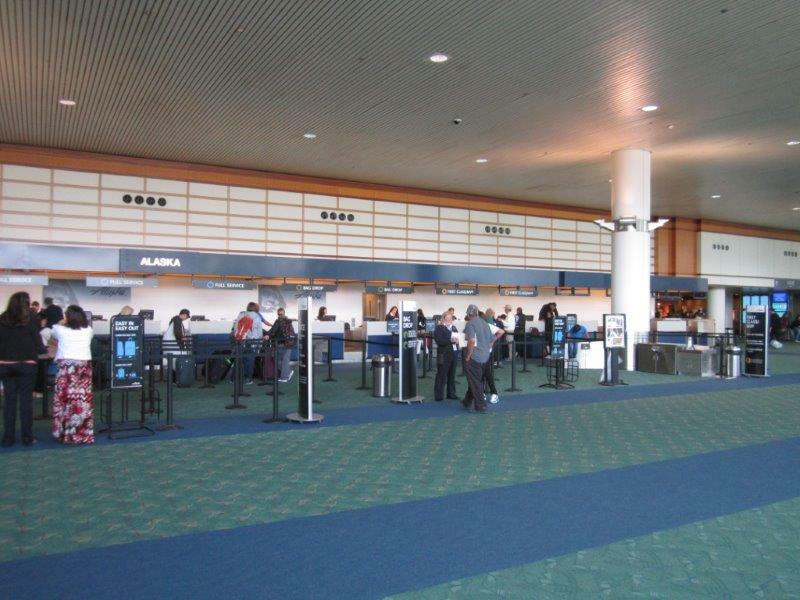 We had both taken advantage of the free bag check at the gate in PDX, since we didn't need our small suitcases onboard. They arrived at the baggage carousel (I don't recall which one) in no time at all, a mantra that Alaska takes very seriously. After collecting our belongings, I requested a ride from Uber, a company you all know of. 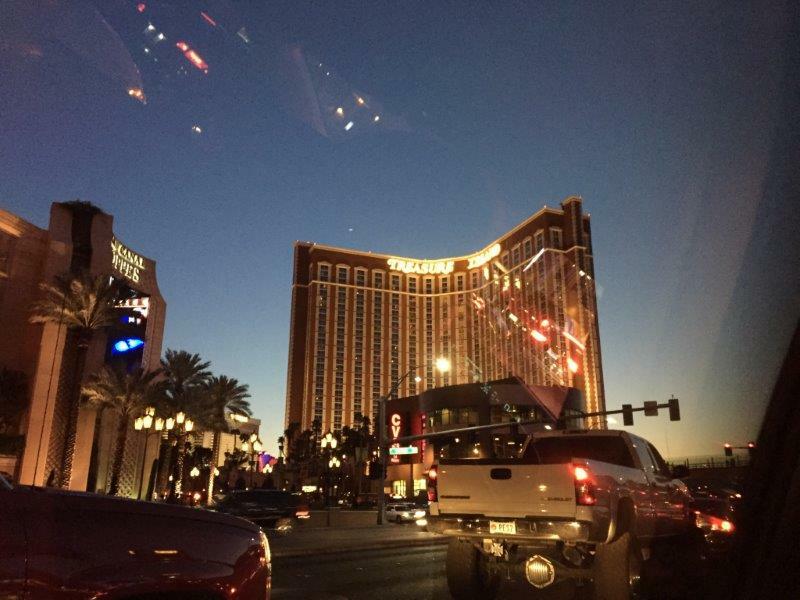 No sense in taking an over-priced and over-unionized Vegas cab... I was somewhat surprised to discover that Black Cars are not available in Las Vegas? This is the "original" Uber service for those that don't know - professional limousine drivers driving luxury cars contracted by Uber, as opposed to ordinary people driving everyday cars. I never cared as much for the whole "UberX" concept, but a mobile ride pickup is a mobile ride pickup, so I requested and the driver promptly called me to confirm pickup location. Now there's some good service! We met up with him in no time, he loaded our bags for us into his Prius, and we were on our way. Treasure Island as seen from our Uber ride! After some good company during the ride, we pulled into the dropoff area of Treasure Island! I thanked him for the lift and we both gave each other 5-star ratings in the app. Heading into the hotel's check-in area around 8:00 PM, we waited in line for less than 5 minutes and were called forward. My sister was wise enough to mention we were visiting for my birthday, and that fact alone was able to score us both a high-floor room PLUS a free bottle of champagne! The clerk told us that it was posted to our room, and to just call Room Service whenever we were ready. 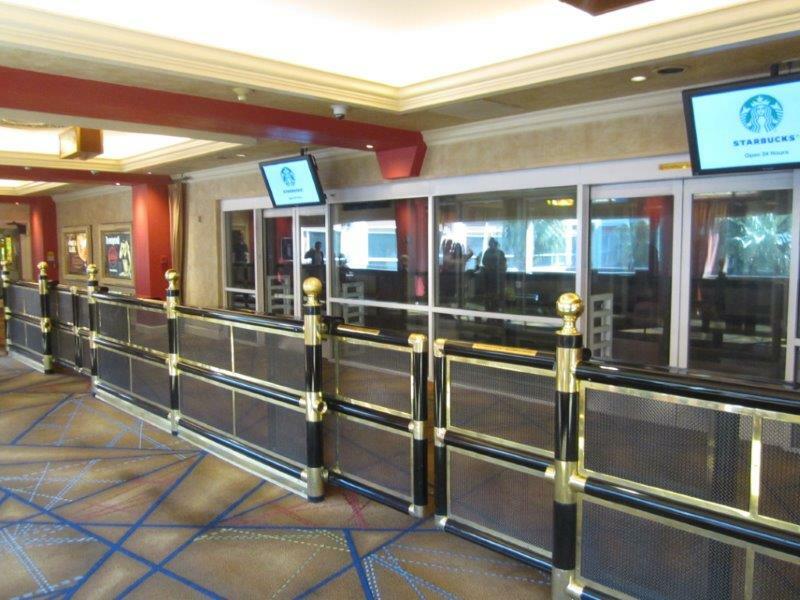 Winding our way through the casino to the guest elevators, we headed up, up, up to room #35085. (TI has 36 floors - talk about high up!) 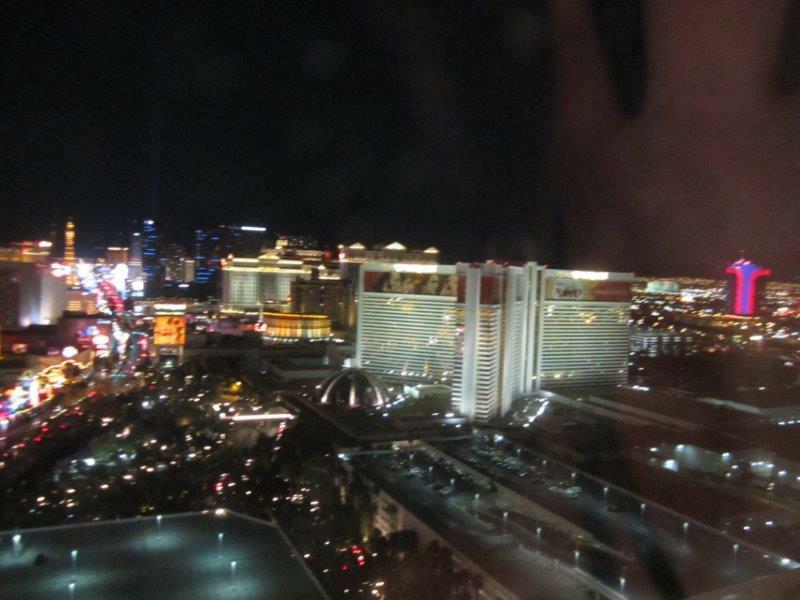 The Strip view was breathtaking and our 2 queens room was very nice. 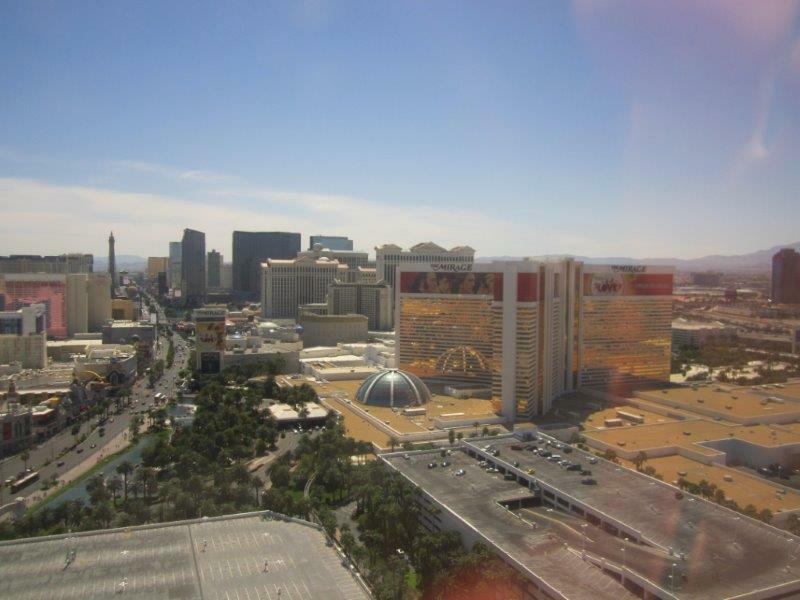 Looking over to the The Mirage. 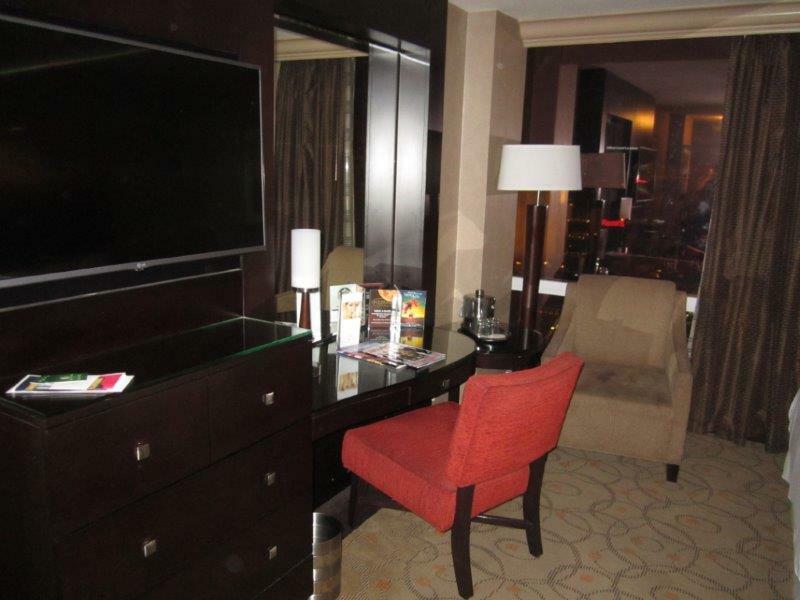 Main area of the 35th floor. 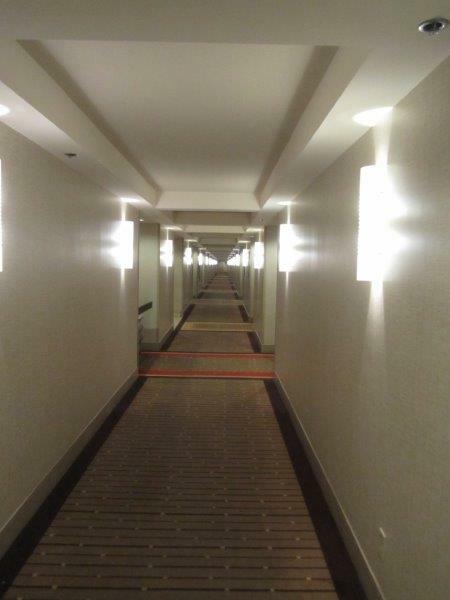 Looking down the hallway, towards our room. After getting situated, I walked around the property for a while, took pictures, and headed for dinner. In planning ahead, I knew I wanted to try the Seafood Shack, so I started out there and sat at the Mojito Bar. I ordered their classic fish and chips with a "Cherry Breeze" cocktail - lovely. After dinner, I walked around the property/casino some more, played slots, and in general just enjoyed the atmosphere and ambience of Las Vegas. After I got bored (haha) playing slots, I headed for the Blackjack tables, something I was really looking forward to trying out. I had done some research on this before leaving so I had a very good idea of what to expect, but I still watched for a little while before sitting down. I placed my ID and cash on the table, the (cute) dealer verified everything, handed me my chips, and we were off! I had a lot of fun playing this - much more so than slots. I spent probably over an hour at the table, and some friendly ladies from Texas came and joined me for a bit as well. Of course, I still left with less money than I arrived with, but it was all a good time. Sometime around 1:30 AM I "colored up" and headed for the cashier. At that point I was a bit disappointed to discover that both Senor Frog's as well as Gilley's Saloon had closed for the night. So I hung out at the slots for a bit longer and finally hit the Breeze Bar before calling it a night. Got into bed at 3:30 AM. Next morning I arose at 11:00 AM, cleaned up, got dressed, and headed downstairs just as housekeeping arrived. First stop was a restaurant called The Coffee Shop for lunch - while they do sell coffee, they also serve breakfast all day and have a wide variety of traditional American food available 24 hours a day. They even have a Pho menu as well. I had some spaghetti with marinara sauce/garlic bread which was some good "comfort food." 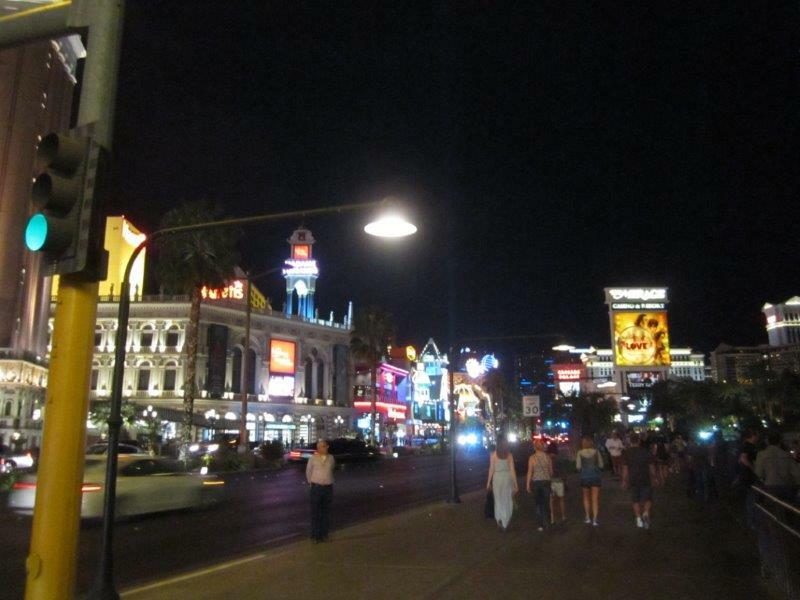 Having spent most of the previous evening in the room, my sister headed out to check out the Strip that day. 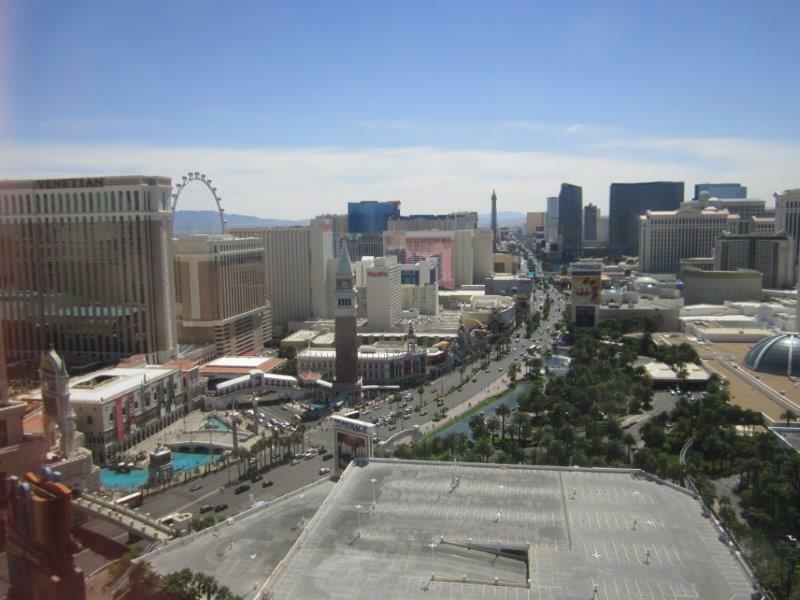 Las Vegas Strip view by day. 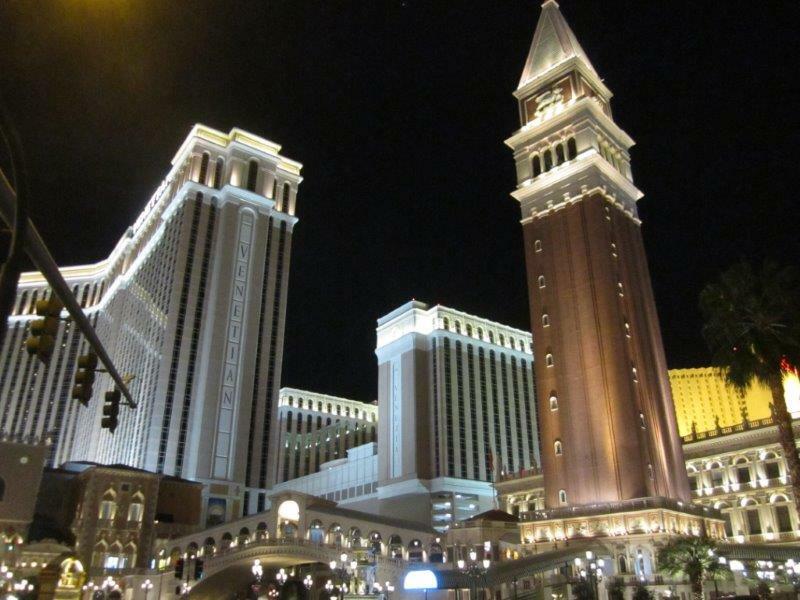 Looking over towards The Venetian. Half of Siren's Cove with pirate ship used in former-Sirens of TI show. 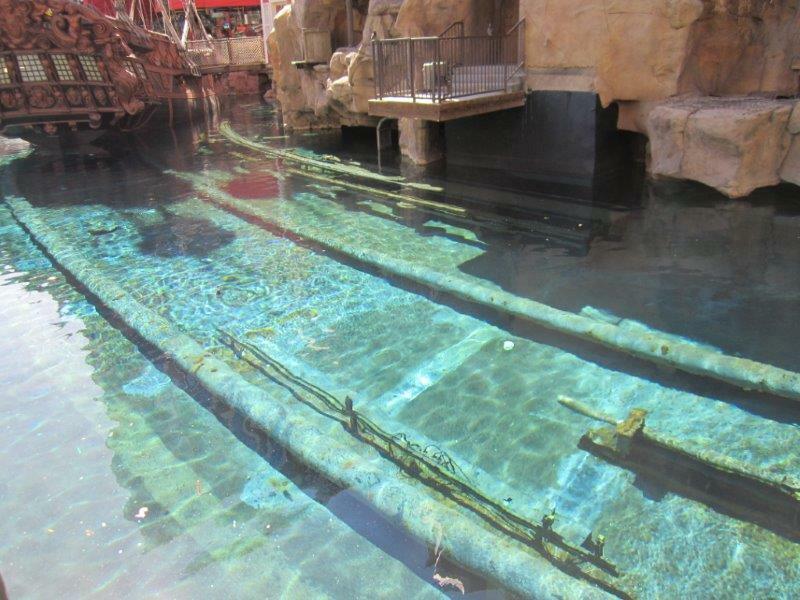 Part of the underwater rig used to sink the ship during said defunct-show. They used to bring the ship in on these rails. 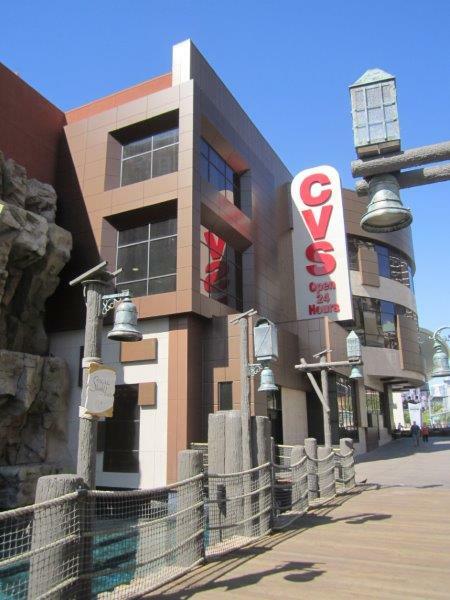 CVS Pharmacy on the TI property. Looking down the Strip from CVS. 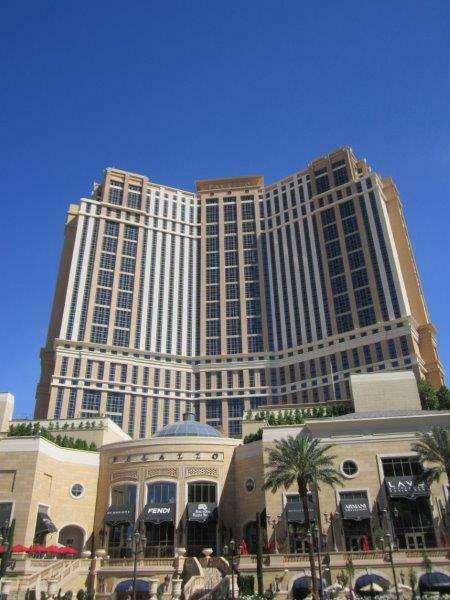 The Palazzo as seen from the Strip. 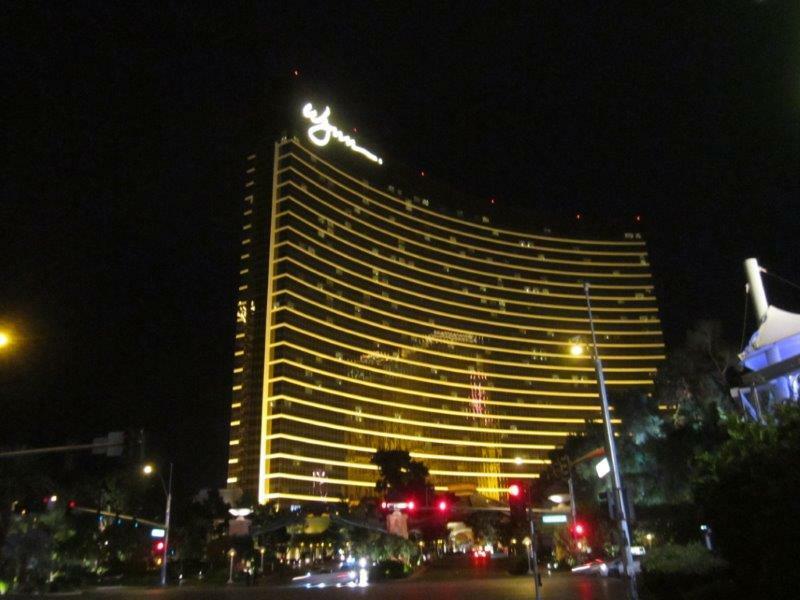 The Wynn/Encore as seen from the Strip. Went back up to the room, changed into my swimsuit, and headed for the pool. Thankfully it wasn't too crowded, which was nice. The pool itself however was pretty cold, and the hot tub wasn't very warm. While down there I enjoyed a ($12!) pina colada from the Pool Bar. I stayed maybe 40 minutes or so before going back upstairs. 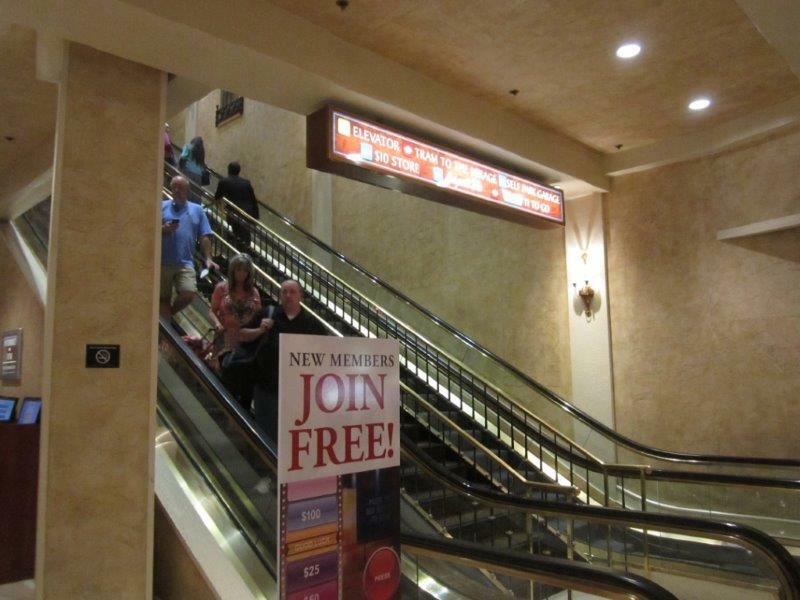 Escalator up to self-parking, tram to The Mirage, etc. 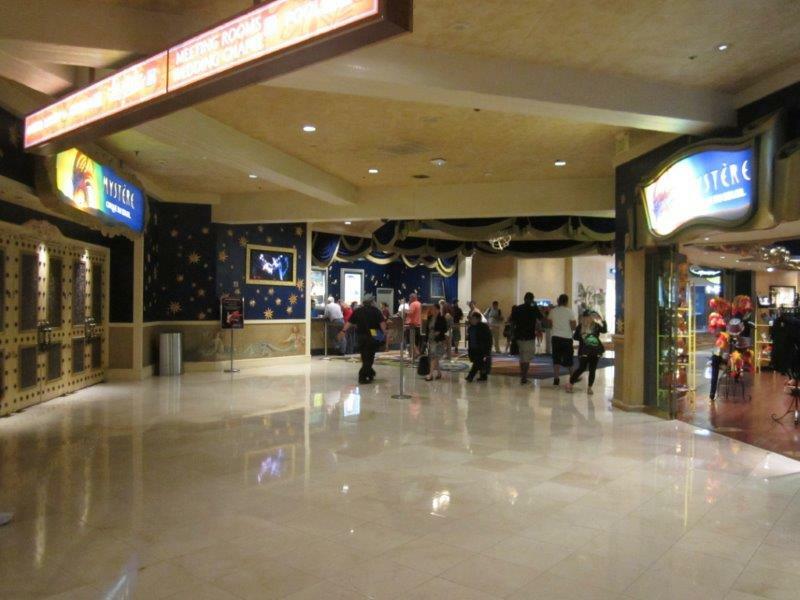 Mystere theatre, box office, and gift shop. 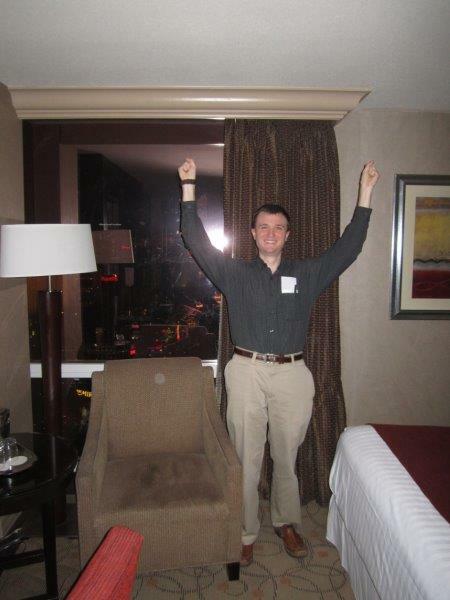 I then went to the casino for a bit before enjoying a "pre-dinner champagne toast" in the room. 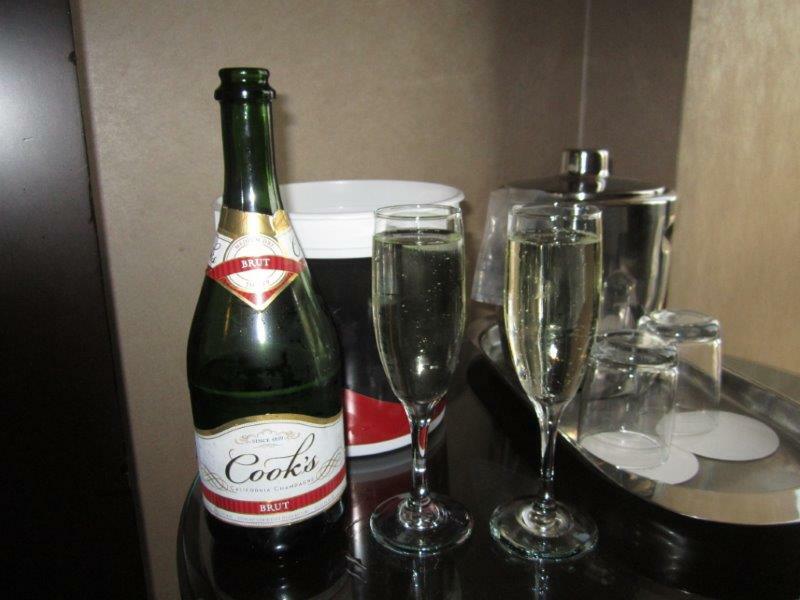 I called Room Service, and less than 5 minutes later a bottle of Cook's Brut was delivered! Talk about some nice service. We hung out for an hour or so before heading off to dinner. This was the only meal we had together on the trip, and we went to The Buffet at TI using a 2-for-1 coupon we got with our room rate package. Their buffet was fantastic - $29.95 per person for dinner with tons of different options in a very nice setting. Highly recommended. 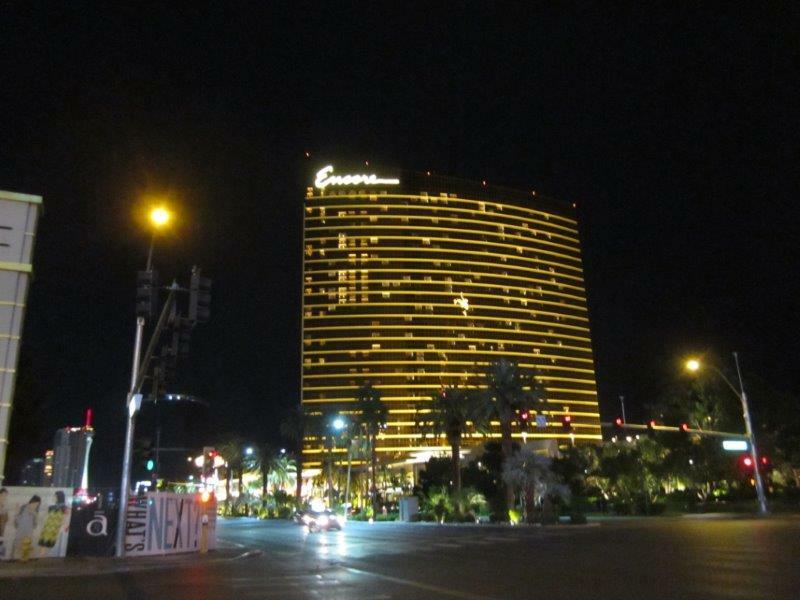 And The Encore by night. 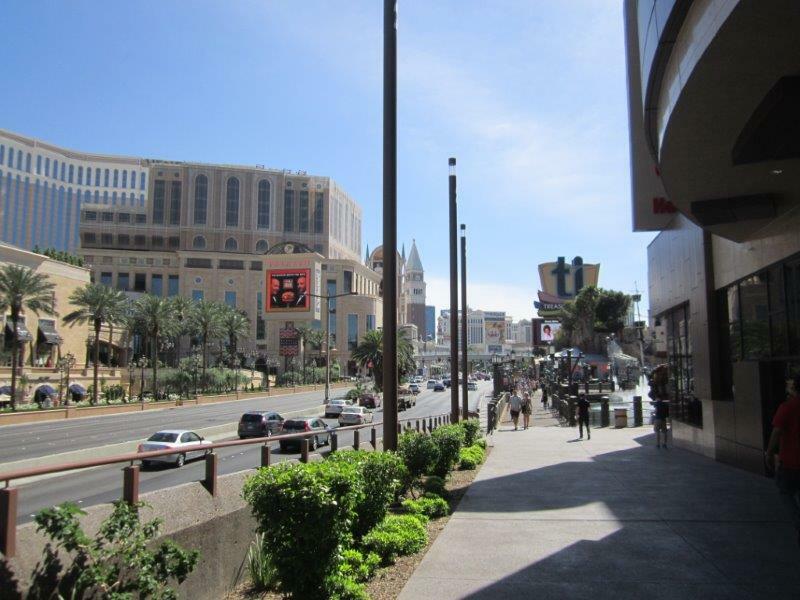 At Fashion Show Mall, looking down the Strip towards The Palazzo. Walked back to TI around 1:00 AM and was once again disappointed to see that Senor Frog's was closed. I had planned on spending some time there that evening and possibly purchasing their open bar package, and I was even informed that the bar would stay open until 2:00 AM or so. I guess not... But Gilley's was still open, so I went over there and sat down just as the final call was made. Great... at least I got 1 drink just in time! One more "casino pass" and I called it a night, again getting into bed around 3:30 or 4:00 AM. 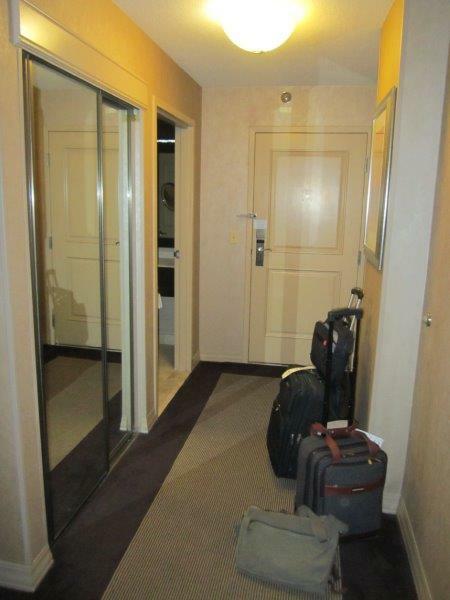 Checkout that next day was 11:00 AM, so we woke, packed our bags, and said goodbye to our room. Only problem was that our flight back to Portland wasn't until 7:55 PM that night, so we still had the better part of a full day there...but with bags and no hotel room. We still made the most of it though, my sister went to Starbucks for a bit and I once again had lunch at The Coffee Shop. Their veggie burger/fries were excellent. 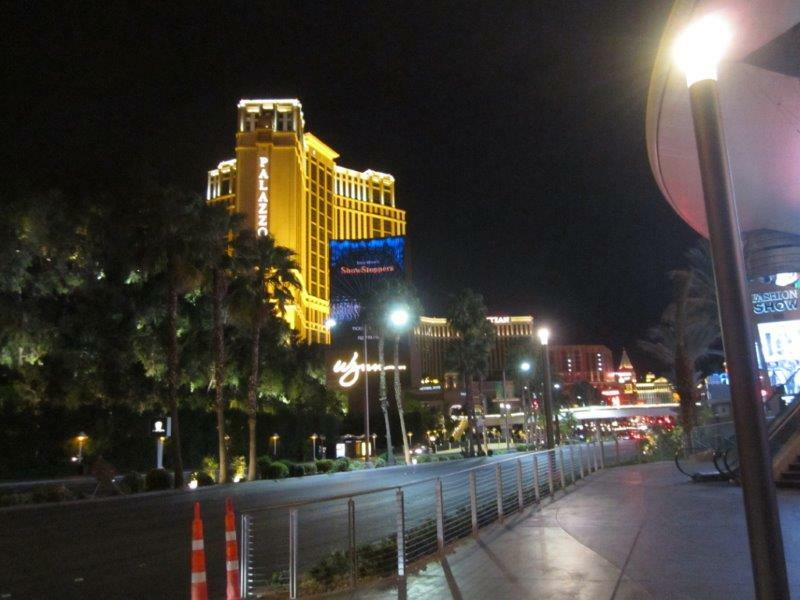 Some more time walking on the Strip and it was time to head for McCarran Airport...sigh. We once again took UberX there (only $15! 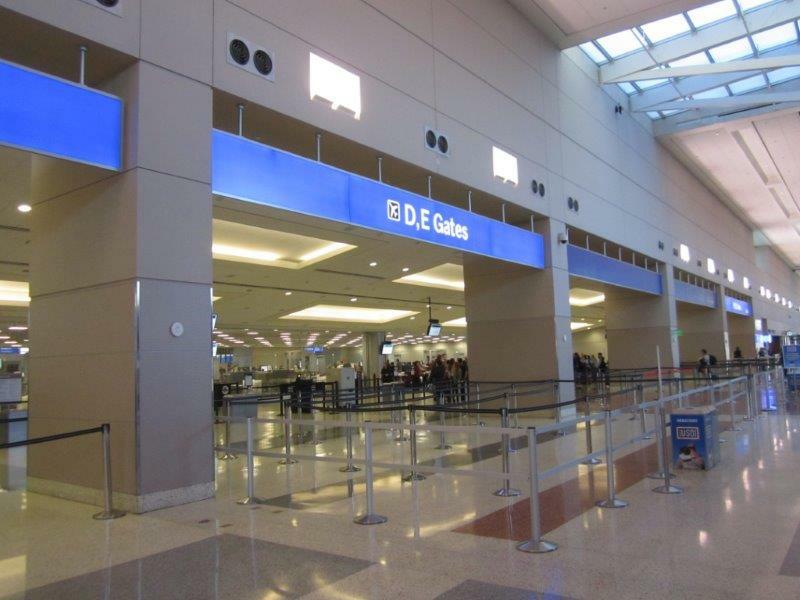 ), I checked in at a kiosk, and headed for the gate. 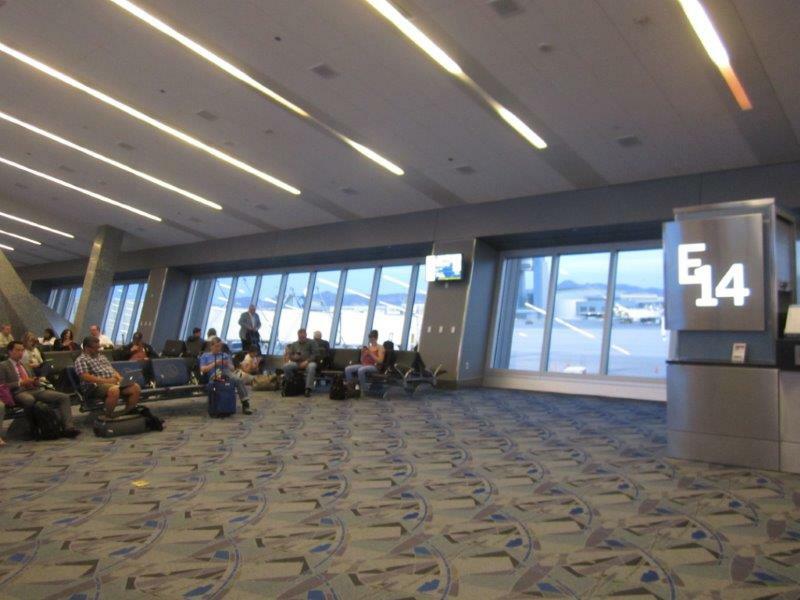 We were departing out of gate E14, same gate we arrived at! Since we still had time, I walked around Terminal 3 for a while, rode the train just for giggles, took pictures, and found a power outlet and set up my computer for a bit. 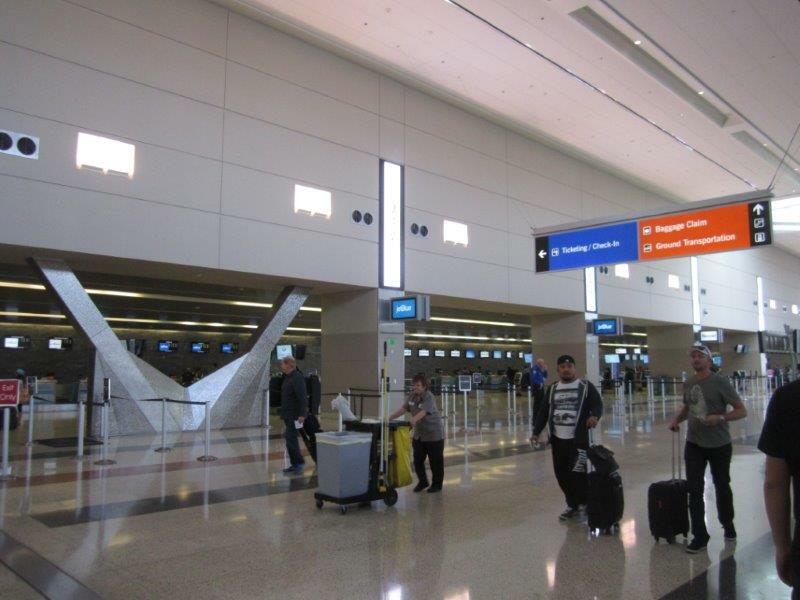 Main departures/ticket lobby at LAS, Terminal 3. 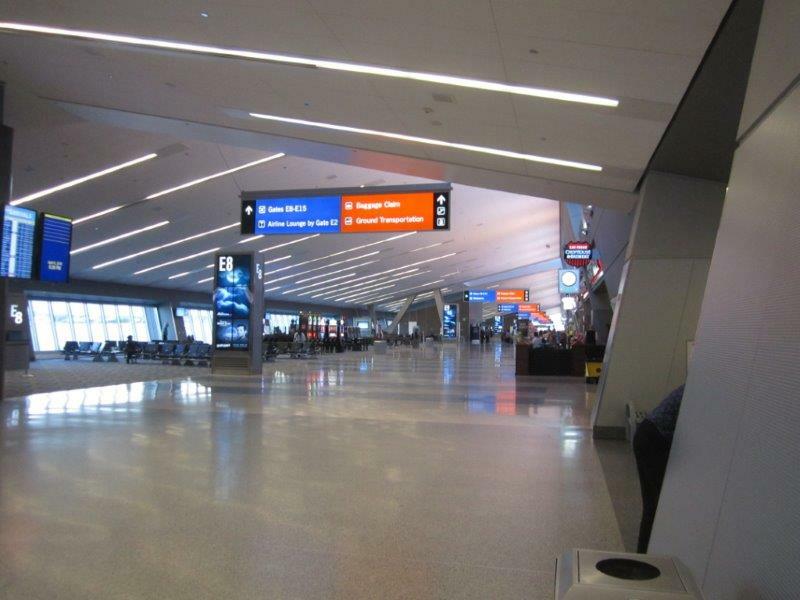 Looking down the E concourse. 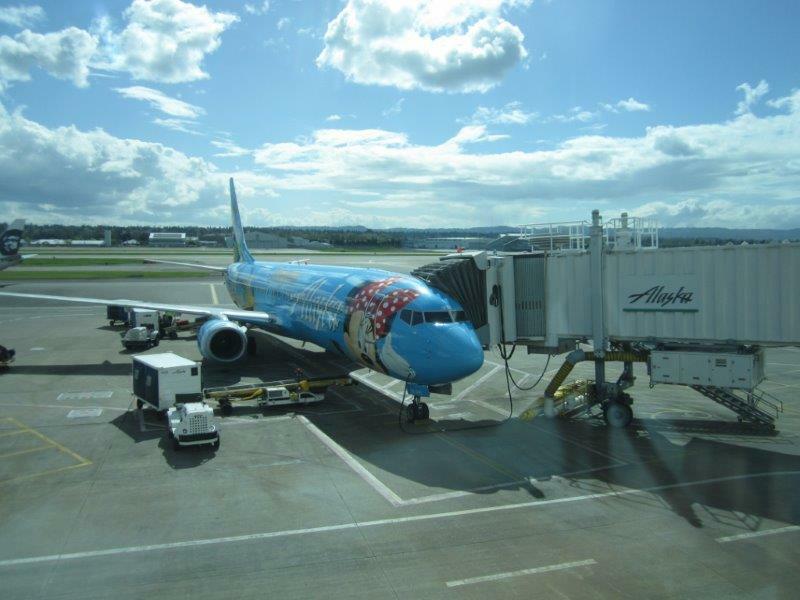 Alaska 737-700 arrives from PDX, now headed back there! 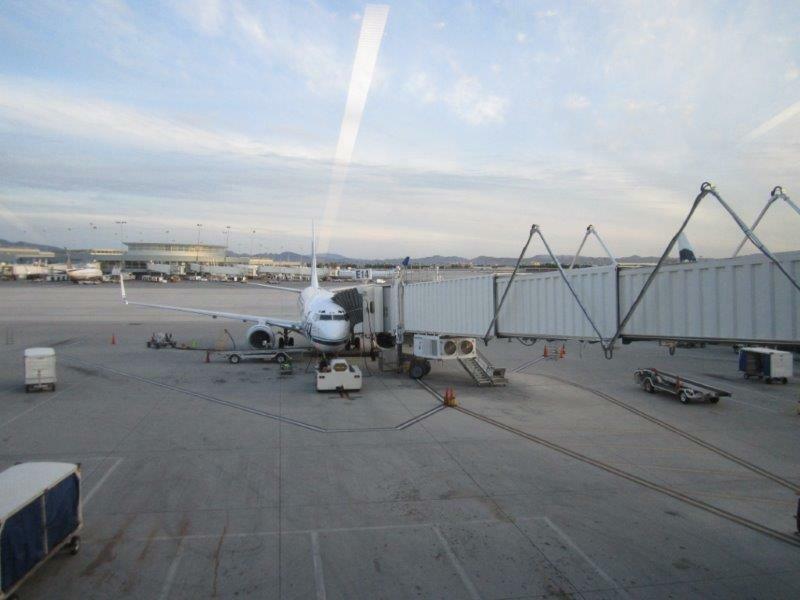 Our 737-700 arrived (from PDX!) 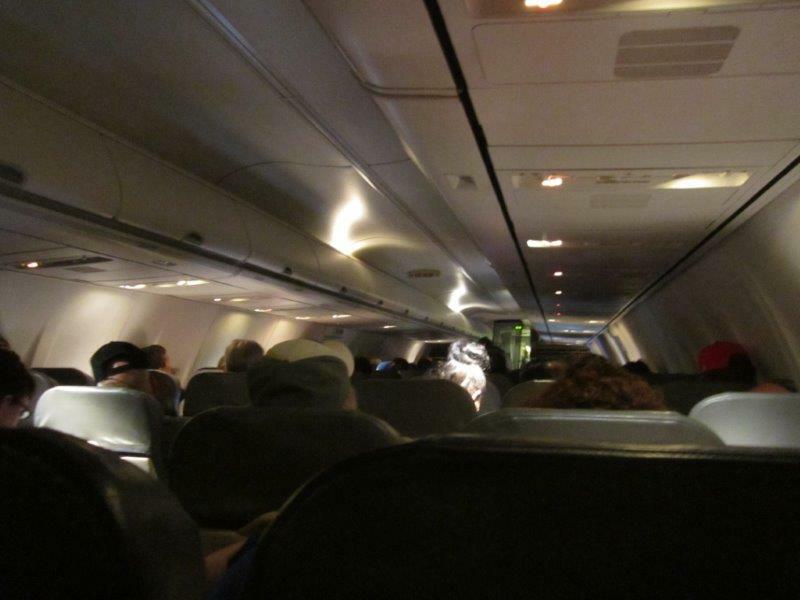 and we boarded and settled into our seats - I was in the middle (25E), so no window photos this time. 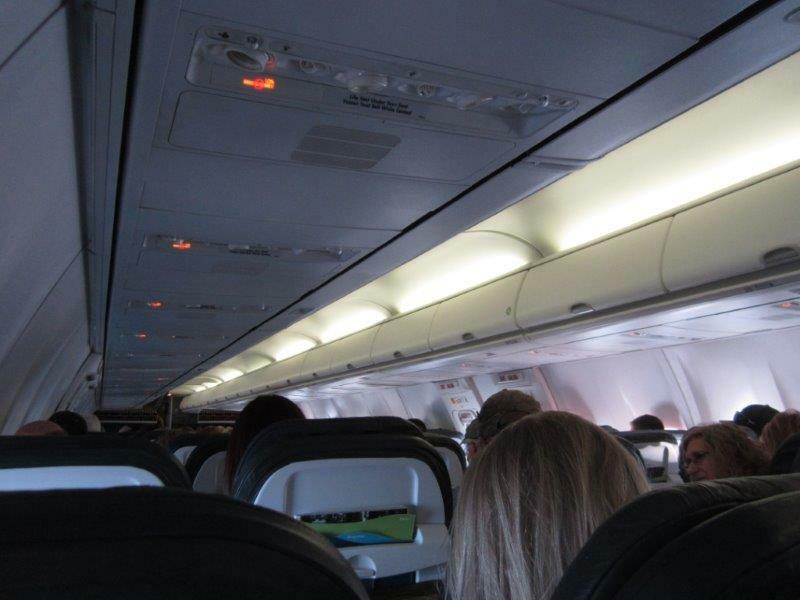 Also, this was an "older" style 737-700, so no power outlets, etc. either. Again, not a big deal especially given the short length of the flight. We pushback at 7:43 PM, several minutes early thanks to passengers being prompt with boarding and stowing luggage correctly. That was nice. Wheels-up at 7:54! Only photo from this flight - cabin shot. 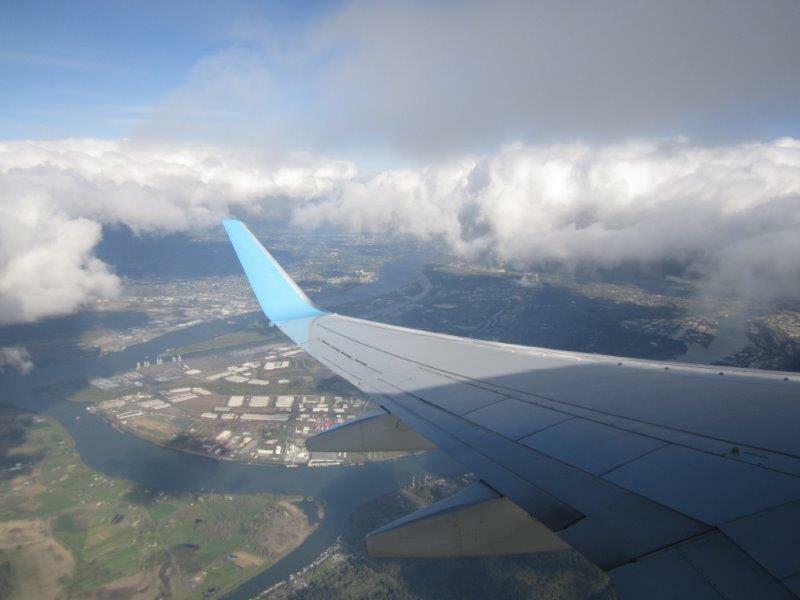 Got a Sun Rum Silver + Diet Coke during the beverage service and before we knew it, we began our approach into Portland. Landing at 9:42 PM, we taxied to gate C3 getting there at 9:45, 25 minutes early! Note this was again the same gate we departed from 2 days ago - I'm sensing a trend here... Still, nice closure if you ask me. Heading to baggage carousel 3 (As with our outbound flight I took advantage of the free bag check - my sister however didn't this time) my trusty suitcase appeared very promptly. Heading out to Island 1 in the arrivals pickup area, we requested UberX which, as always, brought us home safely. We were back by 11:00 PM! 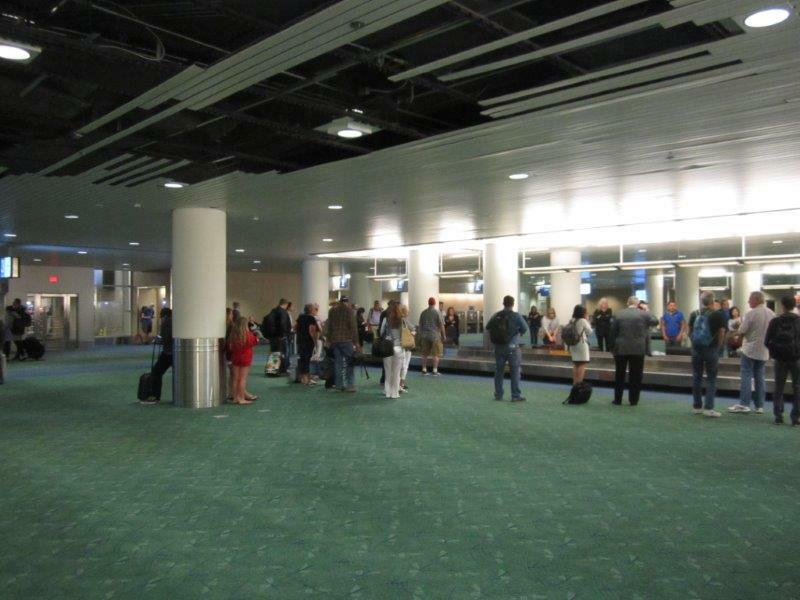 Bags arriving at PDX, carousel 3 arrivals area. 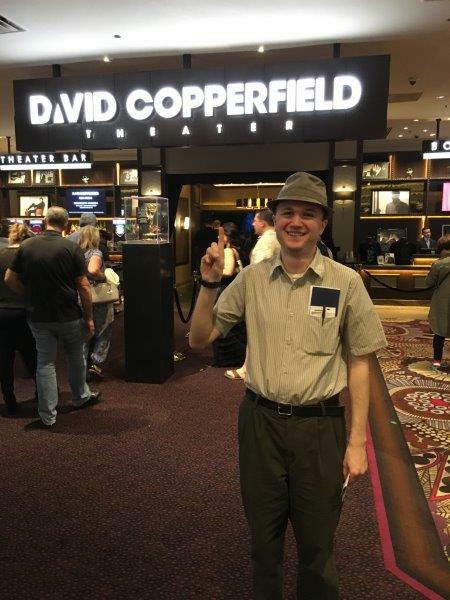 Highlight of the trip: David Copperfield @ The MGM Grand. Just...wow. 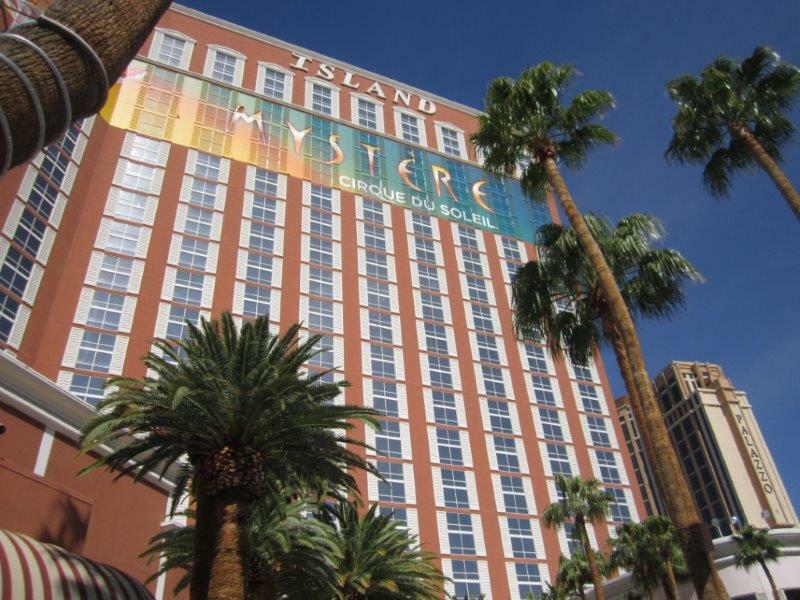 Treasure Island. 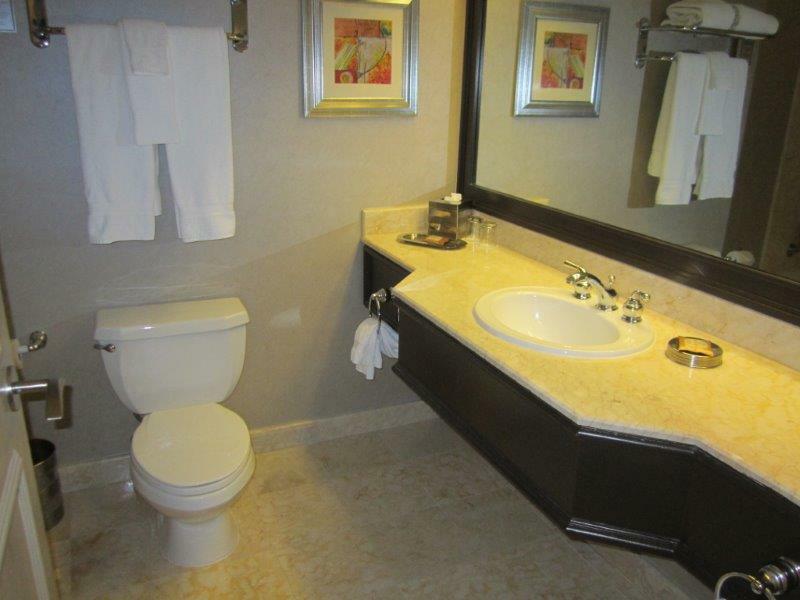 Fantastic property, great location, and nice amenities. I would definitely stay here again without hesitation and would highly recommend it. 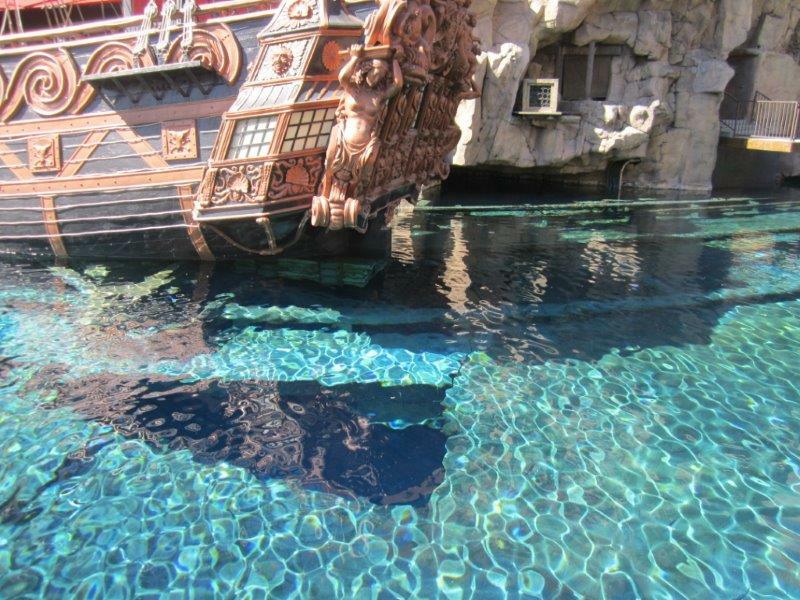 As you all know, the "whimsical" pirate theme was largely abandoned many years ago, and the resort has a much more contemporary feel to it. 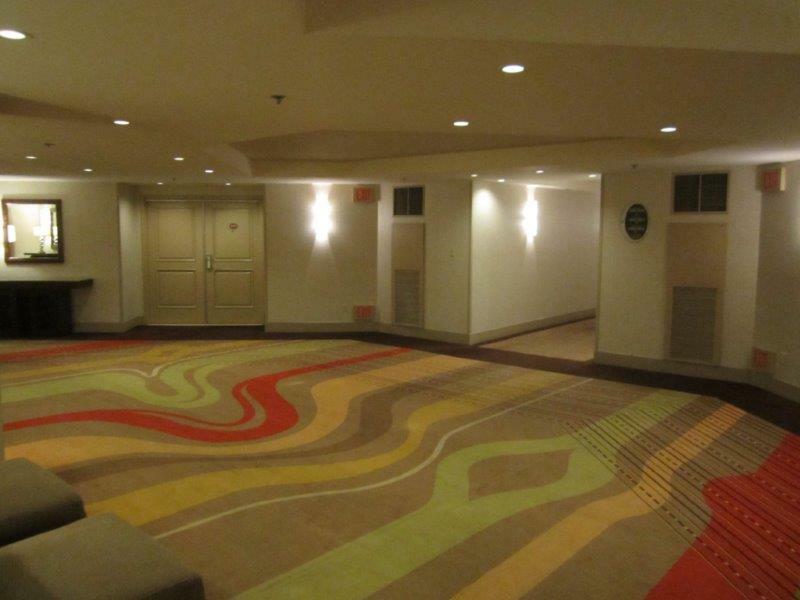 There are still little mementos here and there, most notably the nautical-themed carpet in the casino. Visiting midweek. Light crowds, short lines, better availability, and cheap pricing. Casino. Spacious and not too crowded the days I was there. Kind staff, friendly dealers, and not too smoky. As always, free drinks too! Restaurants and dining credits. TI doesn't have any of those celebrity chef restaurants, which some say are a ripoff anyways. However, their restaurants are still fantastic and I only got to eat at a few of them. At check-in there is a $100-for-$80 dining option. 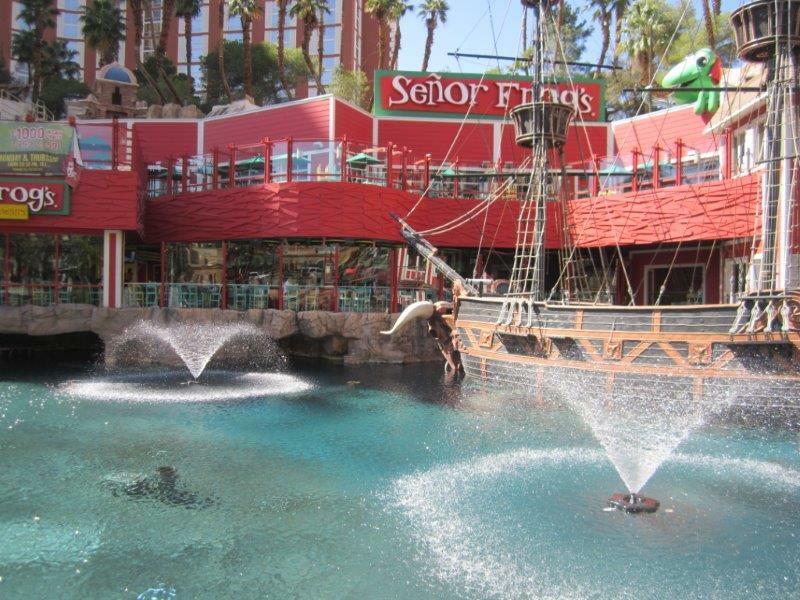 Basically, pay $80 upfront and get a $100 dining credit posted to your room, redeemable at any of the restaurants/bars onsite with the exception of Senor Frog's. I would HIGHLY recommend this - the only way to go, in my opinion. Alaska Airlines. I was quickly reminded of why they are so popular here in Portland. 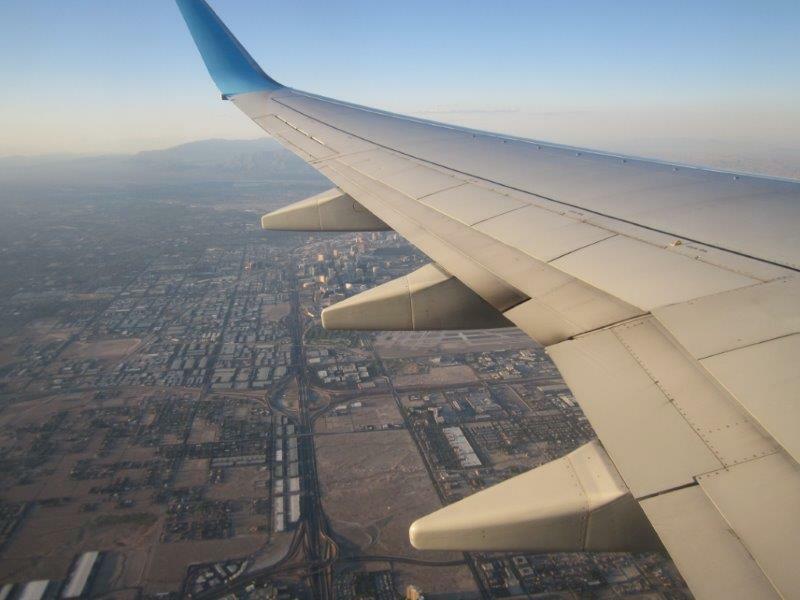 Great service, friendly agents/flight crews/FAs, and reasonable fares. I'm not a Mileage Plan member so I can't speak to that, however. Lack of party places on-site. There was a noticeable lack of these available midweek, at least at TI. Both Gilley's Saloon and Senor Frog's were pretty quiet most of the trip and closed semi-early, earlier than I was expecting. (As per my report.) Kahunaville, TI's well-known island themed restaurant, party bar, and outdoor luau deck closed permanently right after the Super Bowl (as I recall) for reasons unknown. 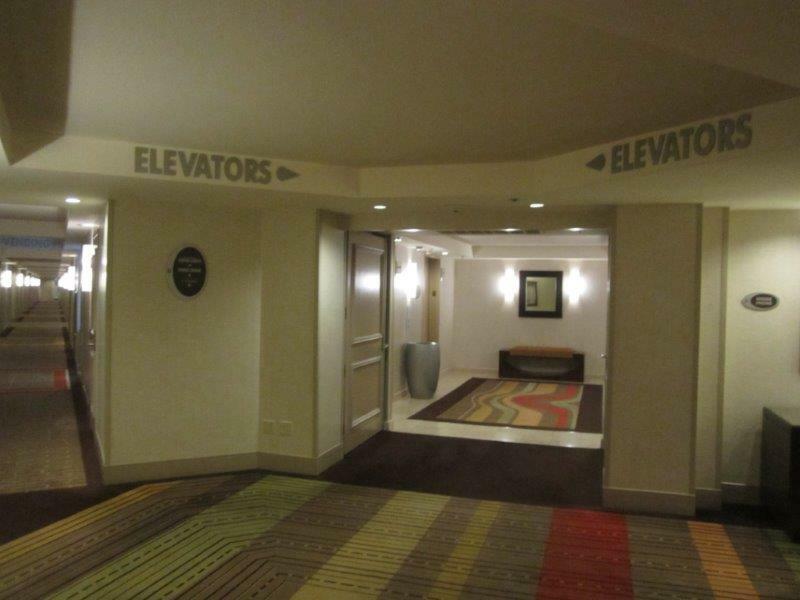 I asked around a bit and none of the hotel employees seemed to know why, either. All traces have been removed from TI's website, though there are remnants still here and there around the property. 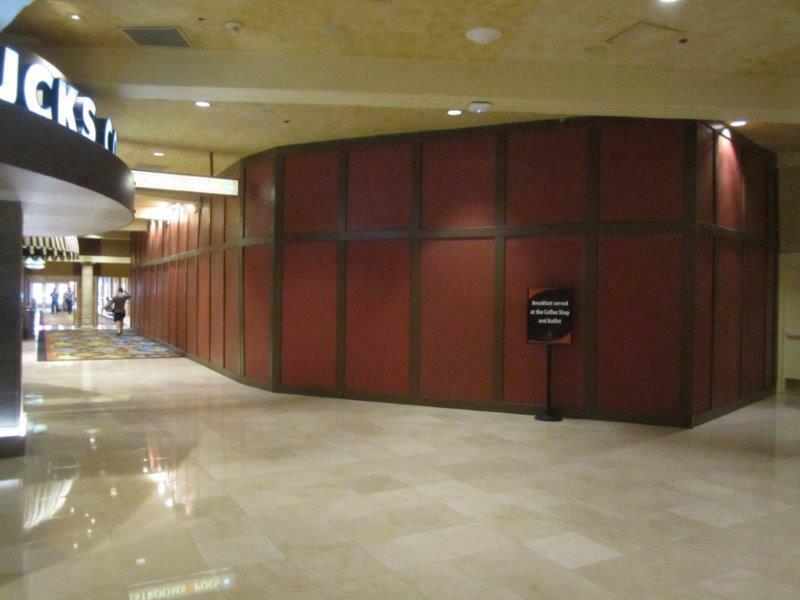 I went over to its former location and it is just a wall now, per my photo. I suspect some new venue will open there within the next year or so. No Sirens in Siren's Cove. Of course, the free "Sirens of TI" show out in Siren's Cove was discontinued about 3 years ago. Apparently they decided to fill in part of the cove to make way for the CVS Pharmacy which I find disappointing, but can understand how that might be more profitable than a free outdoor show. There are several videos on YouTube - it looked a little hokey but I would have liked to have seen it in real life. Senor Frog's. A total disappointment as reported above. They boast a wild party atmosphere on their website (which I'm sure is true) but the nights we were there it was practically a ghost town. It seems things don't really get moving until the weekend, which is definitely something to keep in mind for next trip. I was told by the hostess that their bikini contest is only done on Thursdays now, and that the bar would stay open until 2:00 AM or so. Again, not the case. I later wrote to the marketing director outlining the issues I had with some of their misleading (IMO) information. He promptly got back to me and while he did explain that they "have made some changes" which were helpful to know, he didn't offer much recourse other than "we hope to see you again." Oh well - next time for sure and one more reason to return. Travel times. 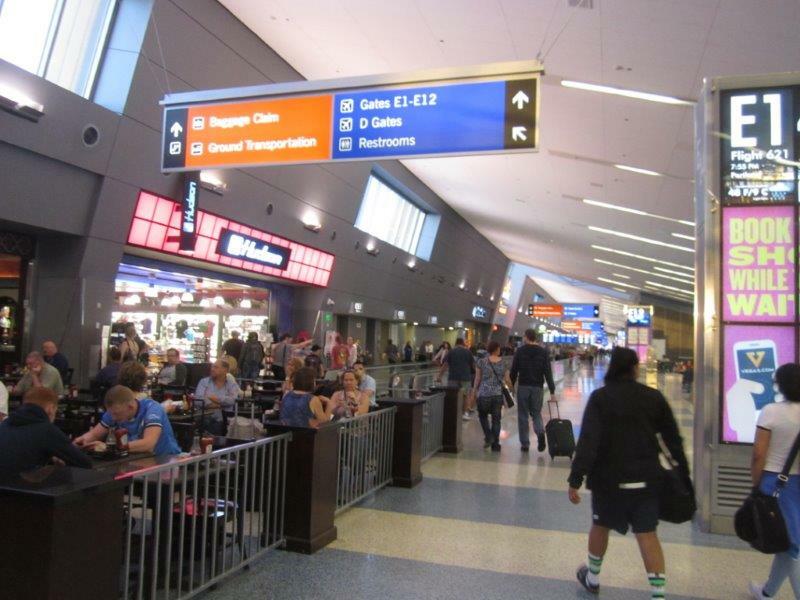 In an ideal world, I would have liked to arrive in LAS a little earlier to allow more time to get situated, etc. before nightfall. More so, the 7:55 PM flight home on April 6 sucked, as did not having a room for the entire day. 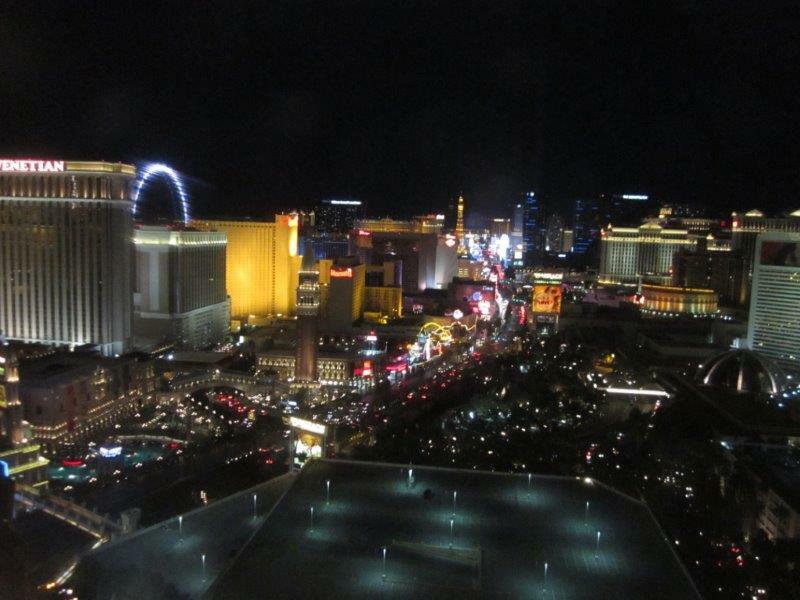 A Vegas trip needs to be built around NIGHTS there, not days. No over-21 companion. Since my sister is 19 and doesn't have a fake, she couldn't really do much of what that city really has to offer. We obviously knew this ahead of time, and she was perfectly fine spending most of the trip in our room and hearing tales of my adventures. However, it would have been nice to have a "partner in crime" (...preferably female...) to share those experiences with as opposed to just wandering around by myself. I don't have a girlfriend/wife, but with some planning ahead I think I could certainly find a willing travel companion for next time. One of the better trip reports i have read in a while ! Well done !! I look forward to your next one. Awesome Trip report!! I'll watch for the "rest" of the report in Vegas after dark. Way to go young man!!! Stay longer next time...And if you gambled a bit, next time ask for a comped late check out if you can. Great first report! Thanks everyone for the kind words - I really appreciate it! Always nice when efforts don't go unnoticed. Yes indeed, she's already looking forward to "dominating at poker." (Her words...) I suspect I'll bring her back in 2 years! awesome pictures , seems like u had a great time ! Way to go young man!!! Stay longer next time... and if you gambled a bit, next time ask for a comped late check out if you can. Great first report! Hmm. All of those seem to revolve around item #2! Again, never too early to start planning... Good to know about the late check-out comp as well, it definitely wouldn't hurt to ask. Thanks! Yep, I certainly did. And as far as the "club" atmosphere at TI...definitely not there during the week. Too many better places for that atmosphere. 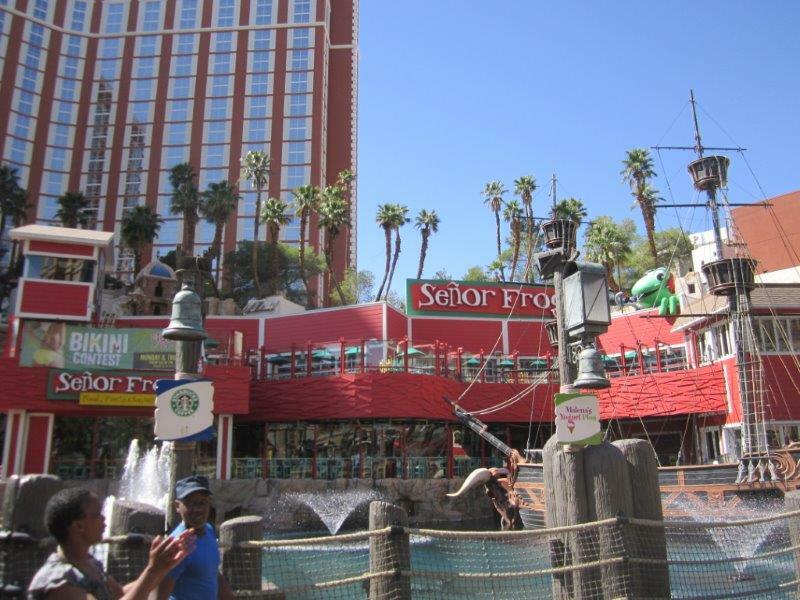 We ate at Senor Frog's once with a half off groupon...food wasn't even worth half price! 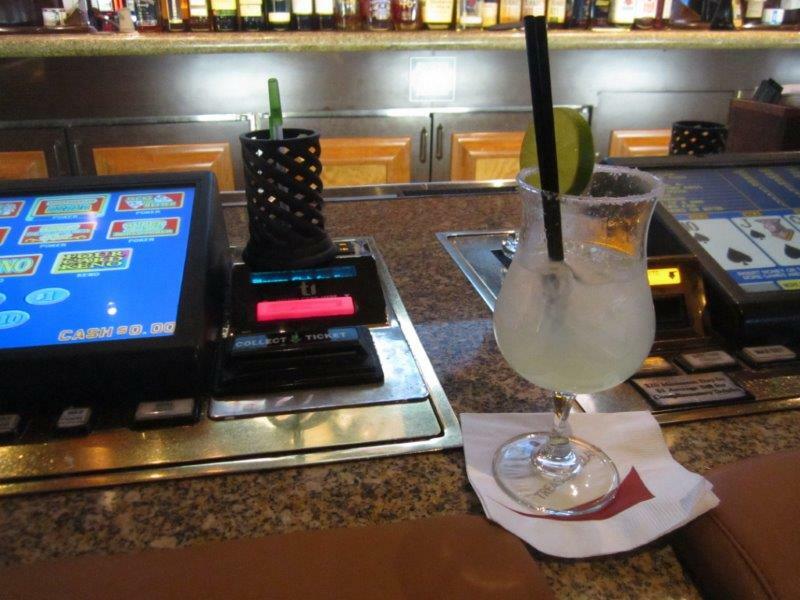 And if drinking is your main concern though in places like that, there is still always 6/5 Bonus Poker at the Breeze Bar (or tons of other casino bars in Vegas) for "free" drinks. Great TR. Thanks for taking pics. I agreed. Should take sis back when she turns 21. Your sister travelled alone on the strip at night!? I would love to hear her thoughts on how safe she felt? What did she do with her time? Shopping/sightseeing/pool? I'm curious because I am bringing my 19yo daughter and her friend this summer. While my husband plays poker they will keep me company at pool and I have some under 21 stuff planned. That was a fantastic report my friend!! The pictures was great! Absolutely awesome report, very much enjoyed it. I hope you had a great time and we'll hear more from you! Thanks for the pics as well. Great report we are also fans of the T.I. Bless your sisters heart for wanting you to have a travel partner even though she couldn't have the total LV experience. Great report and fantastic pics. Next time...hope you get to stay in town longer to enjoy more of this fab city!! Thanks for taking us along! Great Trip Report. Great Pictures. Happy Belated Birthday! 21 Wow! I think I remember being 21 once. But that was a long time ago! Enjoyed the trip report and pics. Plenty of pics at the airports (you must have been bored) but not enough pics inside the resorts (you must NOT have been bored!). Welcome to the board and Happy Belated Birthday! Very nice report and pictures. I enjoyed it and appreciated your thoughts on Treasure Island. We are thinking about checking them out on our upcoming trip in May, and thanks to your insight, sounds like a good plan. 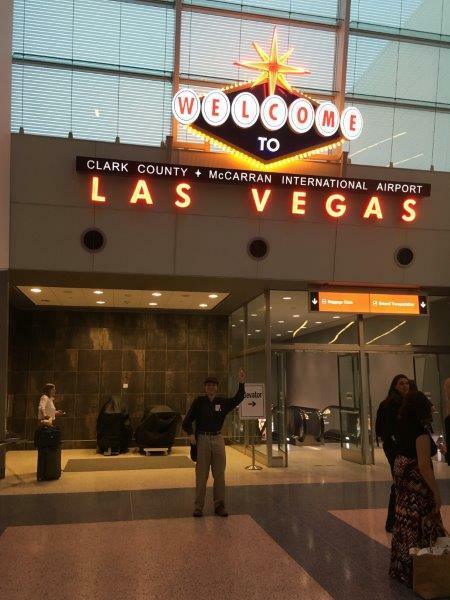 Best wishes for many more enjoyable trips to Vegas in the future.